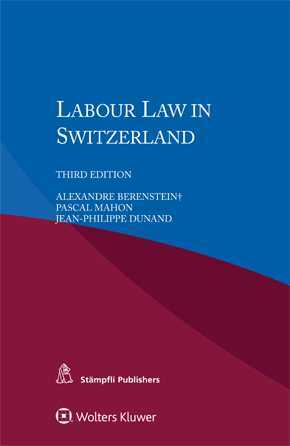 Derived from the renowned multi-volume International Encyclopaedia of Laws, this monograph on Switzerland not only describes and analyses the legal aspects of labour relations, but also examines labour relations practices and developing trends. It provides a survey of the subject that is both usefully brief and sufficiently detailed to answer most questions likely to arise in any pertinent legal setting. Both individual and collective labour relations are covered in ample detail, with attention to such underlying and pervasive factors as employment contracts, suspension of the contracts, dismissal laws and covenant of non-competition, as well as international private law. The author describes all important details of the law governing hours and wages, benefits, intellectual property implications, trade union activity, employers’ associations, workers’ participation, collective bargaining, industrial disputes, and much more. Building on a clear overview of labour law and labour relations, the book offers practical guidance on which sound preliminary decisions may be based. It will find a ready readership among lawyers representing parties with interests in Switzerland, and academics and researchers will appreciate its value in the study of comparative trends in laws affecting labour and labour relations.